Global Gathering is an annual dance music festival put together by the company behind superclub Godskitchen. It takes place traditionally on the last weekend of July. The festival first took place in 2001. It was the first dance music festival to be extended to 2 days with camping on site. The Festival is dominated by all kinds of dance music with all the top djs in the world have played at the festival. The festival also attracts guitar bands. Global Gathering is the undisputed king of dance & music festivals. Last year’s event made dance music history by selling out with record-breaking numbers. 45,000 people will rock their socks off at the world’s biggest ever alfresco disco. 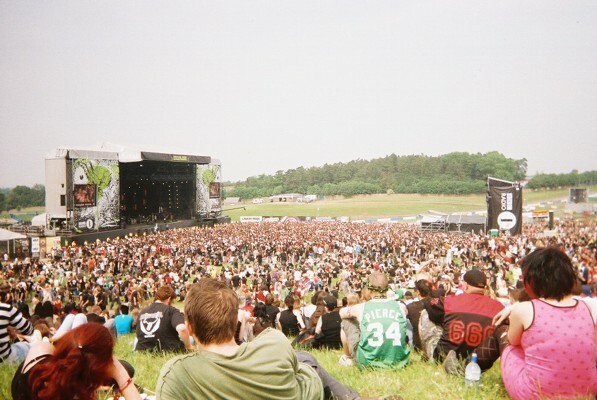 Global Gathering is renowned for its state-of-the-art arenas and highly sophisticated production values. The crowds love the ‘Beach Stage’ which sees a giant outdoor stage and screen erected in front of an island of sand, deck chairs and palm trees. The Godskitchen arena is the biggest marquee tent in Europe and houses 12,000 people under its canopied roof which doubles as an impressive backdrop to its laser displays. During the two-day event the arenas will feature the entire cross spectrum of dance music from progressive house, techno, drum and bass, trance, all styles of house and breaks. We do not have any Gossip yet if you have some please contact us.